A long time ago on a planet far from Earth, like out of the galaxy far, there were humanoids that are called Keplerians. They started in 1 continent and spread to the rest. They are now an eco-friendly, underground living, civilization across the planet with a few that actually survive by themselves in the ocean. Aquanaut technology is being developed as is tidal power but for now, these ocean humanoids are rogue. They might develop into a new species but who knows, maybe some aquatic predator will eat them all before that happens. Anyway back to language. When these humanoids were still on 1 continent, a proto language developed that would eventually branch off into language families. 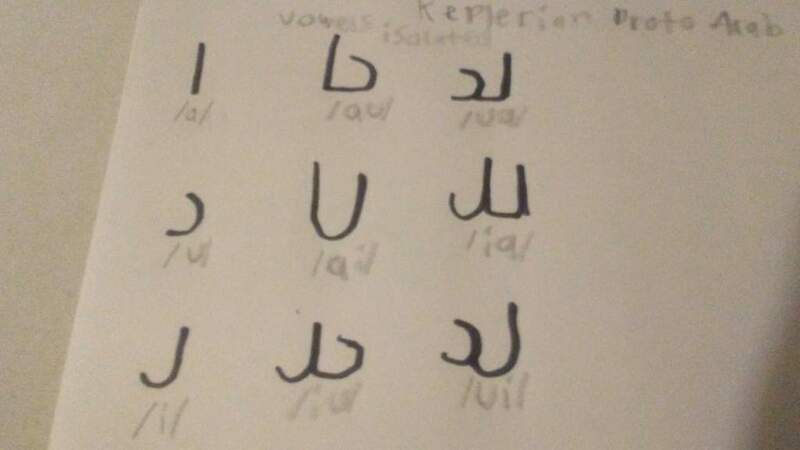 The humanoids that stayed on the original starting continent branched off and formed Keplerian Proto Arab, the first language on that continent. The people who speak that language use a base 60 number system. 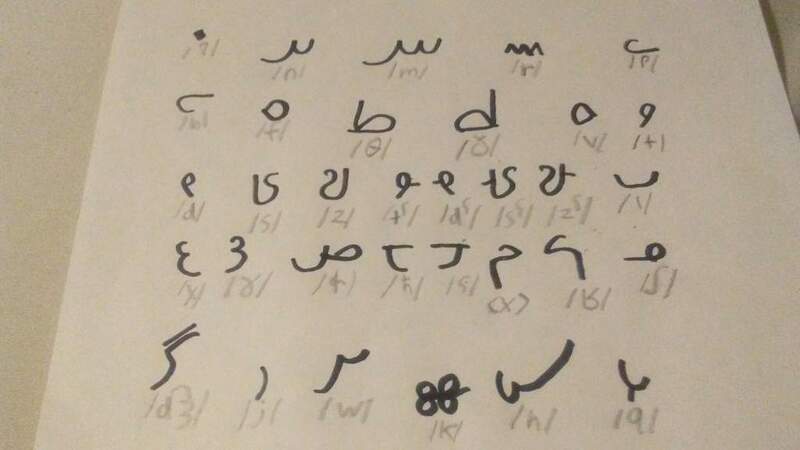 I based the characters off of the Arabic script and unlike what you may think, this is an abugida, not an alphabet. I wrote voiced/unvoiced pairs as mirror images. The language is agglutinative. So there are a lot of affixes. "Nobody believes I am pregnant. Why? I don't know but maybe it has to do with the fact that I am 100 years old and pregnancy is rare for that age."